Gurtam has always been devoted to building the customer network and amplifying the partner database in the framework of international surroundings. The first decade of June has been most favorable for it, bringing Gurtam to participate in Transport Logistics Exhibition 2013 in Munich to meet with other 2070 participants from all over the world. Not only the number of participants was exceptionally high, but the event itself has proven the unbelievable prominence in the area of transport logistics. According to the organizers, transport logistic 2013 attracted a record 53,000 trade visitors. A further rise in the international scope of the event was also noticeable at this year's show - around 47 percent of the exhibitors came from outside Germany. This year the key players from the world industry came to Munich to share and display the most innovative solutions in the value chain of transport, logistics and telematics segment. Such countries as Lithuania, Belgium, Austria and Switzerland have recently joined the show, expanding the technology to the vast markets of Albania, Indonesia, Macedonia and Zimbabwe. In the framework of the event, two other industrial conferences were held: the Industrial Air Cargo Europe and the 7-th mariLOG conference took place alongside the exhibition. A week later, the Gurtam team paid a visit to Prague, where the company shared their vision and solutions with other experts in the framework of a two-day workshop, organized by our partners from Israel, Pointer Telocation. 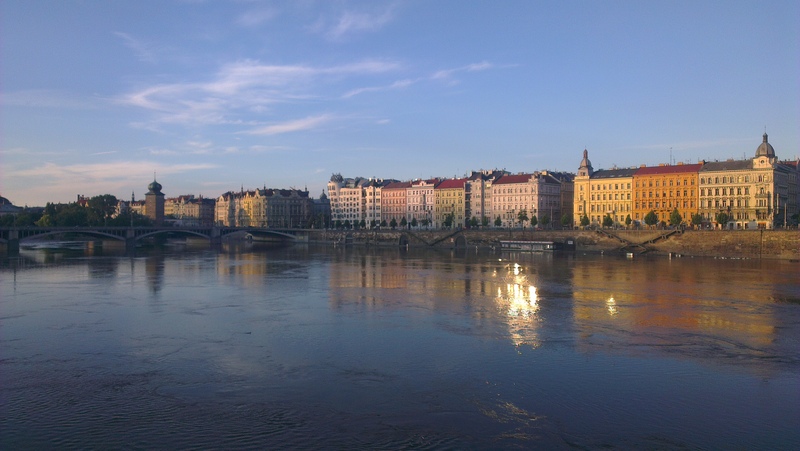 The meeting was held in the very heart of Prague on June 11-13, and was dedicated to a completely new driving fad, spreading out fast in Europe, such as "friendly driving" or the Eco-Driving. Eco-driving is a modern tendency in the area of transport control and management, giving a lot of incentive to the companies, engaged in development of new apps and tools to support and further spread such a useful tendency. The extensive list of Gurtam contains over 6 models of automobile trackers by Cellocator with Cello-IQ featuring high in the list. It goes without saying that Cello-IQ was the main focus of the workshop in Prague. Currently, Wialon Hosting GPS and GLONASS tracking systems contains several reports on the functioning of the Cello-IQ tracker, based on which both driver's safety and automobile efficiency can be measured. Moreover, the reports are displaying the specific driver's maneuvers at any point of his trip. 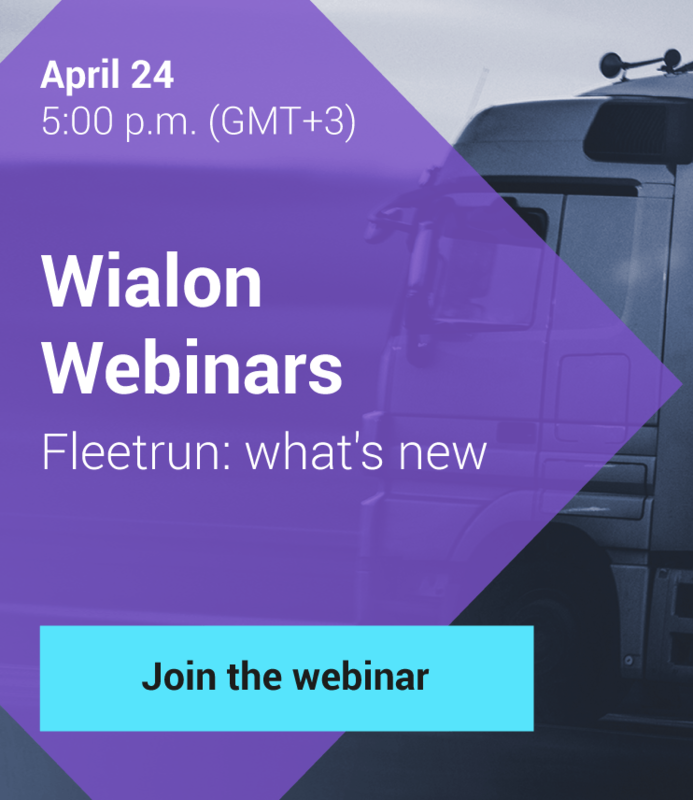 Gurtam didn't come to the meeting empty handed, drawing the attention of the audience to the new Apps in Wialon Hosting and Wialon Kit, created exclusively for working with Cello-IQ. 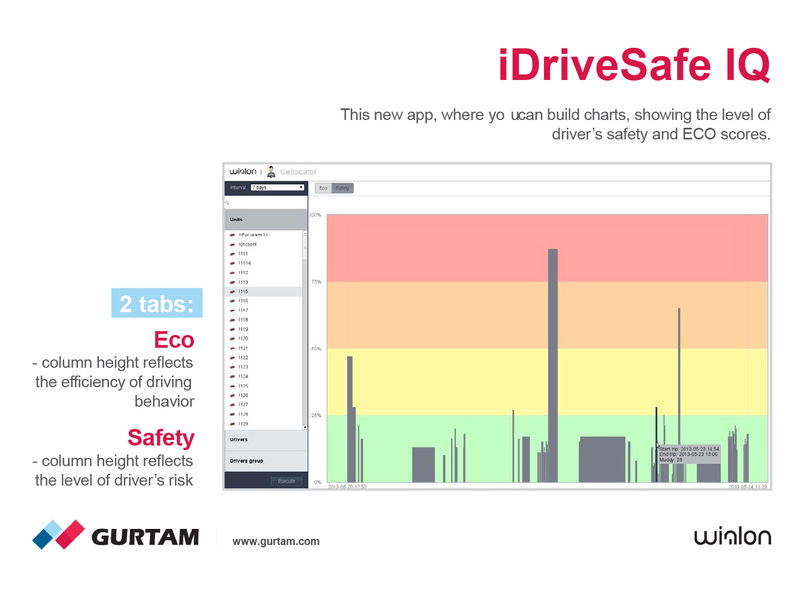 The concept of iDriveSafe IQ allows to graphically demonstrate the important safety features of driving. The users are setting the time span, object, driver or the group of drivers for building the chart. The chart illustrates the percentage outcome, evaluating the driver's behavior and the parameters of his efficiency. The demonstration of concepts of new solutions is by all means an integral part of various workshops and conferences, along with a multitude of impressions, a great deal of communication and sharing of visions during the unofficial sessions , adding the necessary humane vitality to these professional gatherings. According to Aliaksandr Kuushynau: «Business in motion» is a powerful tool for binding the image of the company to its key values, allowing our experts to personally test and try the innovative applications targeted at expanding the Transport Tracking value chain in general».